This year’s Midwest Gaming Classic went down last weekend in Brookfield, Wisconsin (right outside Milwaukee), on a beautiful 70-degree weekend (unseasonably warm for this time of year in Wisco). This being somewhere around my 12th visit or so, I’ve seen the event come a long way from being a one-ballroom affair at a small hotel in Oconomowoc. MGC takes up every available inch of expo space (including the hallways and the bar) on the ground and basement levels of the Sheraton Hotel, as well as the circus-sized tent in the parking lot which houses the vendor area. Midwest Gaming Classic 2017 officially kicks off RIGHT NOW in Milwaukee, Wisconsin! Unfortunately, I work Saturdays so I usually can’t attend til Sunday, but I will be there tomorrow! 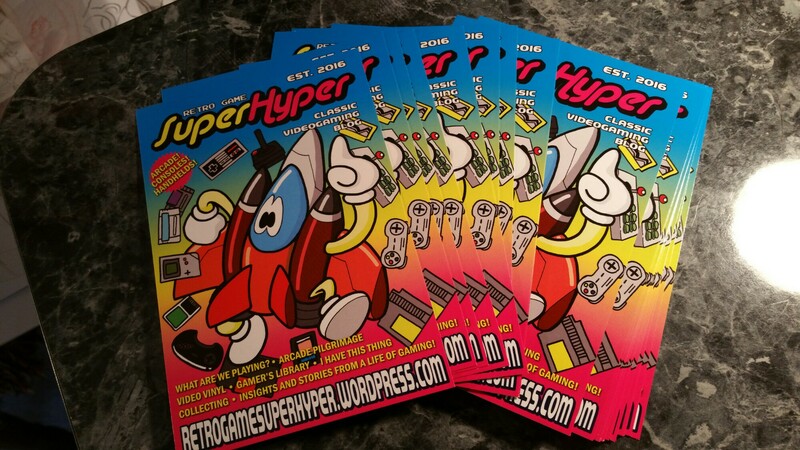 I’ll have some Retro Game SuperHyper postcards around so grab one if you find them, or say hello if you see me! Look for pics and videos on the RGSH Instagram, and a full report here on the blog later in the week. To all attending, travel safe and have fun!